You guys. I did a terrible thing and got so excited about my Growler article for Union 32 that I forgot to publish my own. Read my first article here for all the details on this unique brewery concept. Dan Redpath once sold jet fuel for a living. But, just a month before his 50th birthday, he made a serious career change. “Now I sell a different kind of fuel!” he laughs. 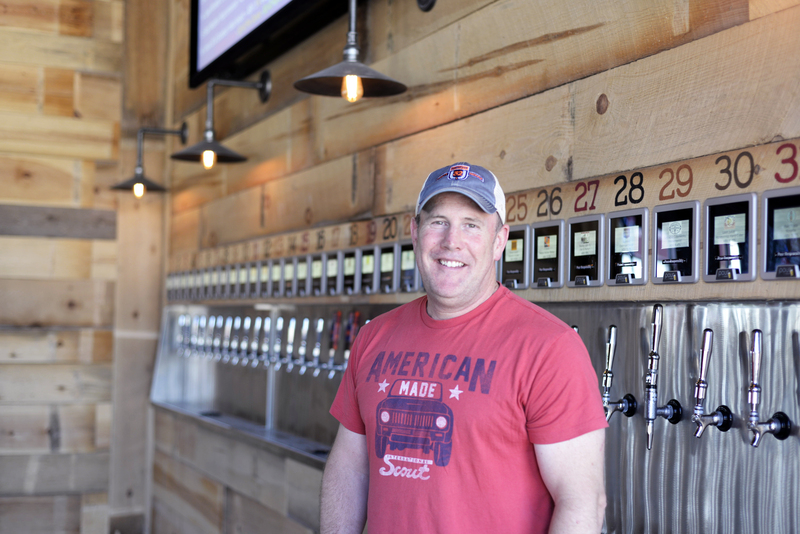 After 13 years of homebrewing and building a passion for craft beer, he is now the proud managing partner of Eagan’s newest brewpub, Union 32 Craft House, which opened on July 10. Redpath explains, “Our name is stemmed from Minnesota being the 32nd state to join the Union, so we’re really taking that to heart. 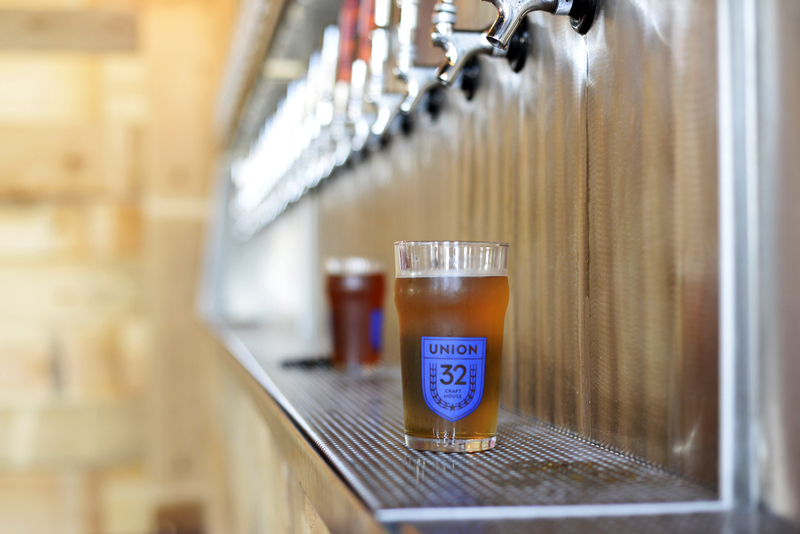 We think there’s a lot of really good beer being made in Minnesota.” Union 32’s goal is to offer Minnesotans an authentic brewery experience alongside a strong sampling of Minnesota’s finest beverages. To make the sampling experience more engaging, Union 32 took a page out of the playbooks of some Denver and Chicago’s bars, and installed a self-serve beer wall. 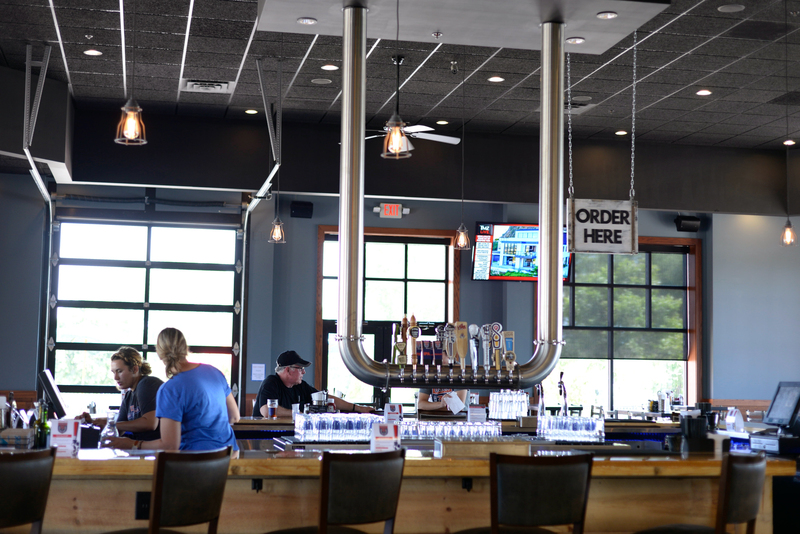 Spanning the far back wall of the taproom, interactive screens displaying the brewery logos and beer information sit atop 32 tap handles. 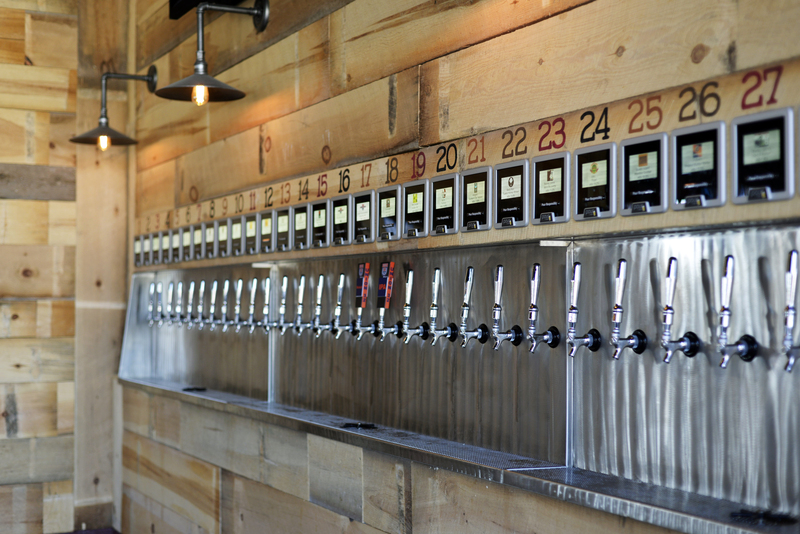 Patrons purchase a beer card at the main bar, which they insert into the screen corresponding to the beer they want. 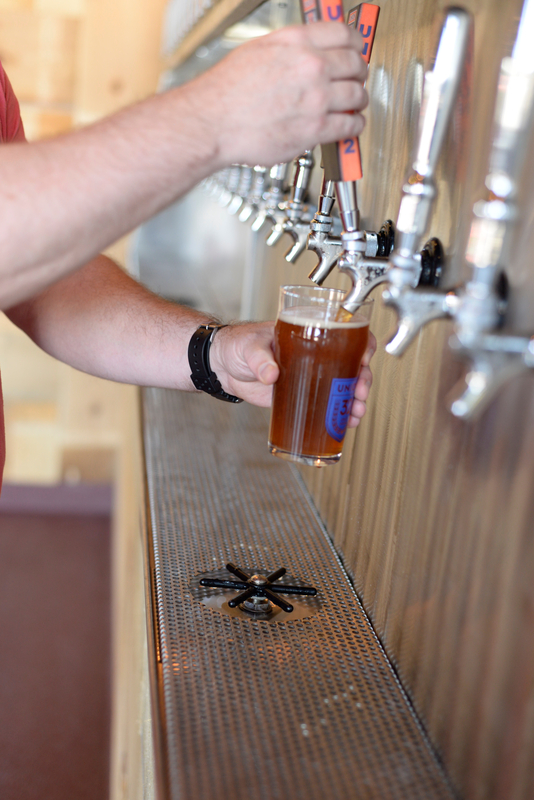 Customers are charged by the ounce, a saving grace for the first-timers who serve themselves a pint of foam. A beer ambassador is always nearby to offer recommendations and instructions for a proper pour. Dan is a genuinely friendly guy who fits right in with his laptop at the bar. When I met him, he seemed content in his surroundings, yet eager for what his future in the brewery would hold. I appreciate this message from Dan because it’s easy to get sucked into the concept that our personalities and life paths and environments are static. In reality, it can all change in a hearbeat. It just depends whether we let the change happen to us, or if we make it happen ourselves.